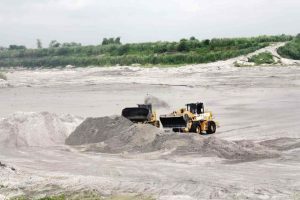 The Department of Agriculture (DA) is seeking to convert the lahar fields of Pampanga to productive greenhouses and agricultural hubs, according to DA Secretary Emmanuel Piñol. This idea came after the outbreak of the Avian Flu in the province. Farmers and poultry raisers requested DA’s help in dealing with the waste and excrement when their transportation was banned from moving out of the area at the height of the flu. “The chicken dung could be processed into fertilizer, and the lahar-covered area could be transformed into a vegetable-production area using the greenhouse technology… in the desert areas of Israel. Solar-powered irrigation systems could be installed in the area estimated to be about 5,000 hectares to provide water to the green houses,” Piñol remarked. Experts in fertilizer and poultry are now tasked to create a proposal. In the Negev Desert in Israel, technologists were able to “bloom gold” in one of the hottest deserts in the Middle Eastern country. They adopted the motto “More Crop per Drop” as the country was extremely water scarce and they had to do the most with the little water they have. Agriculture scientists in Israel have pioneered the field of Precision Farming where everything, including climate, water, and nutrition, is controlled by computers. Many countries around the world have asked Israel to help them replicate its agricultural success. The Negev is growing produce like olives, cherry tomatoes, and peppers, that wouldn’t have survived in other desert conditions. Their answer to the desert problem? A whole suite of solutions: an improved irrigation system, sewage recycling, engineered crops, massive desalination, water leak management, and proper financial management. The Philippines can also gain from its experience. Hopefully, local agriculturists can use such technologies to develop solutions for the country.